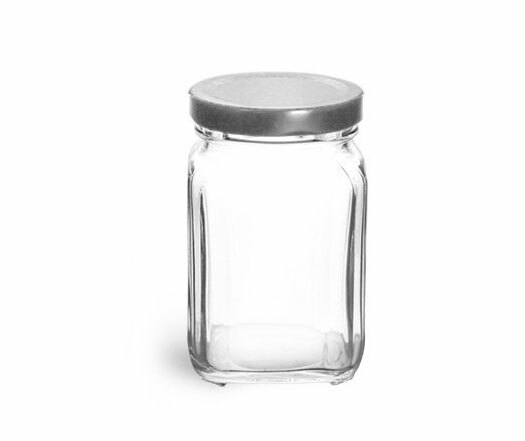 The clear (flint) glass hex jars are a great choice for displaying your homemade bath salts! 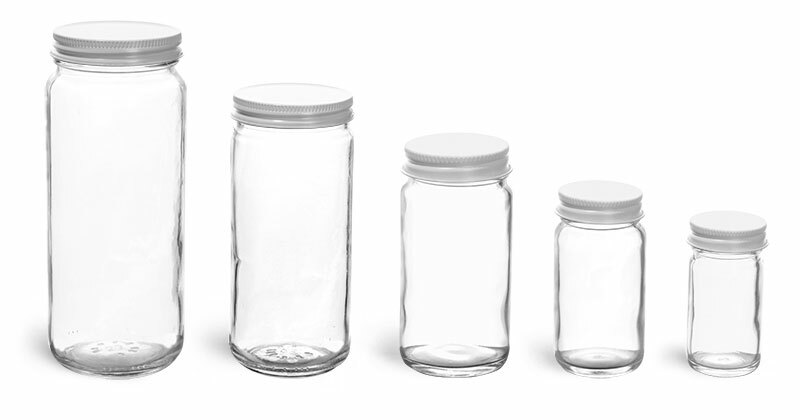 The glass hex jars are available in 1 1/2 oz, 3 3/4 oz, 4 oz, 6 oz and 9 oz sizes and they have a variety of closure options. 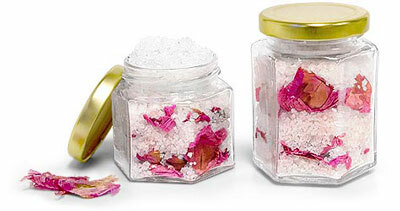 For a more elegant look, try adding rose petals or assorted dried flowers to your homemade bath salts. Combining the salts and flowers together in a fashionable jar makes for an excellent bathroom accent. With a compatible closure, use as much of the salt as you like and replace the container with cap back to its show place for a later use.